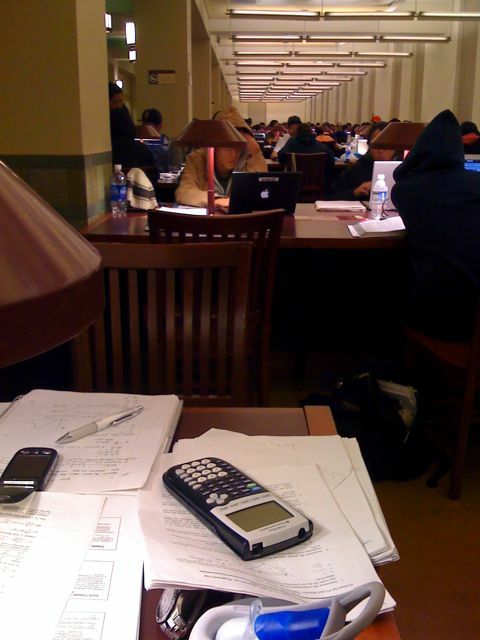 A time when everyone is stressed out… finals week. FML. Studying in the library is one of my favorites places… It’s quiet, great lighting, opens 24/7, and my favorite… the beautiful women around. Although it might be a tough place to pick up a girl because the number 1 priority on their list is studying… their good to stare at. I mean look at. Not like I’m a creep or anything, but hey everyone likes to look at beautiful things right? Anyways… The ambiance is just great, everyone is here to study. So basically this 1 break of many… Hopefully I won’t have to take too many breaks as I should be giving my notes it’s fullest attention.